Between benefits and risks. 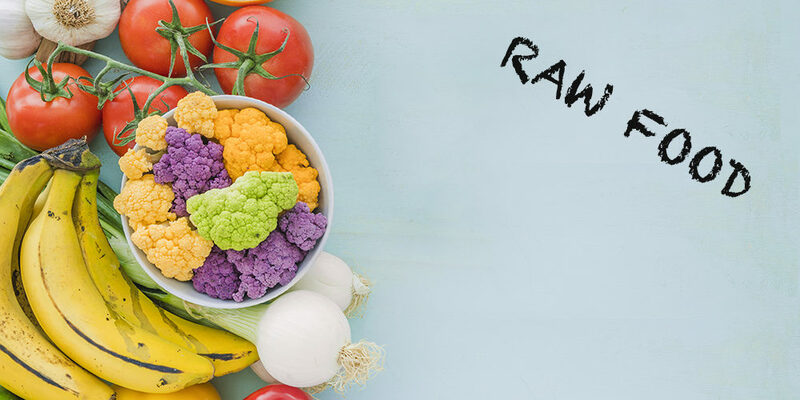 How much do you know about raw food? It’s been a long time people are talking about raw food, but this food choice continues to be discussed. This type of cuisine favors raw foods, therefore in the heart of their properties, such as fruits, vegetables, milk, seeds, sprouted cereals, meat and fish. Unlike cooked foods, which are poorer in nutrients because of the cooking process that burns their active ingredients, the nutritional intake given by a raw food diet seems to be well balanced, free of fats and intoxicants. Experts claim that raw foods, or processed to no more than 45 degrees, retain minerals, vitamins and especially enzymes unaltered. But be careful that raw food does not bring only benefits: you must be very scrupulous in washing the fruit and vegetables to avoid any pests, as it is very important to take care of the temperatures at which meats and fish are processed. If precise indications on food storage are not observed, health problems can also be very serious, from toxoplasmosis to salmonellosis. Nowadays aorund 8% of the world population (Eurispes) has chosen raw food as a lifestyle and many restaurants have long specialized in this type of cuisine that is very creative. Not to mention the success that this food is having among the chefs, more and more curious towards alternative cuisines. In short, between centrifuges, cold and raw dishes, choosing raw food you choose a real lifestyle. And are you pro or against this type of food?